To tone down the sweetness to an otherwise girly and glamorous shoot, we’re loving the unique take on this edgy, styled shoot of bridal portraits captured by Awake Photography. The team behind floral studio Flower Vibes dreamed up a concept where softness subtly toughens up by way of limb-climbing blooms meant to resemble beautiful, blossoming flower tattoos. To bring this vision to life, the team first used a simple color palette of greens, whites and subtle infusions of pink to create a floral cuff that spanned from the model bride’s forearm to her finger to mimic trendy jewelry hand chains. The same blooms were trimmed down and wrapped around her neck in a choker-style arrangement. 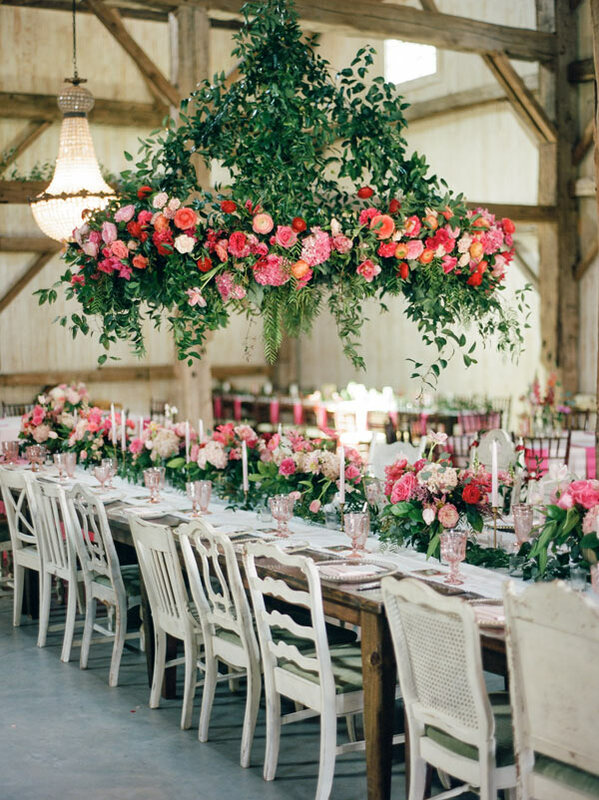 Coordinating arrangements filled with roses, wildflowers and greenery were used in the bride’s overflowing bouquet, varying table top decor, place settings and even as embellishment on the bride’s shoes! Trend-conscious clear strap and lucite-heeled shoes were a perfect match for a form fitting, cold shoulder open weave gown matched with a sleek ponytail and neutral smokey eye from Hey Lovely. A sugary sweet table setting complete with soft pink linens and porcelain, marble and crystal serveware and candle lit votives was the proverbial icing on the cake to this unique bridal shoot! 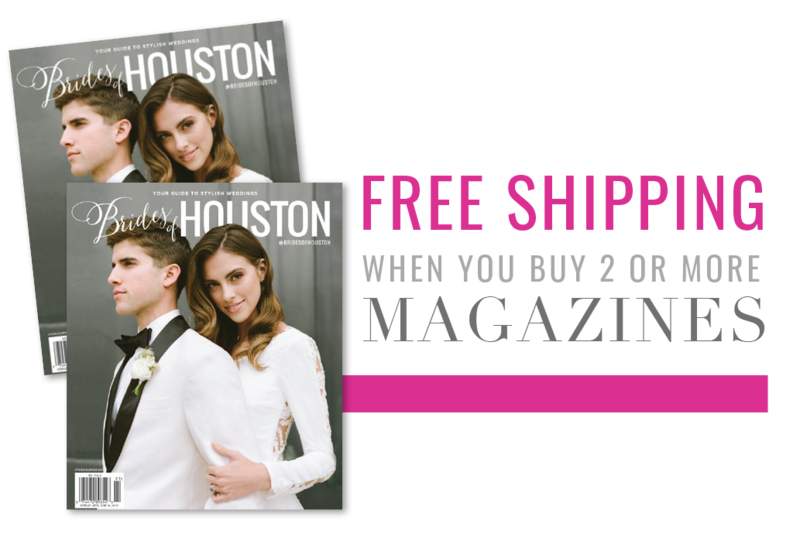 « Previous Post: Brides of Houston is Hiring!